Every day there's more news about the health benefits of red wine, but this one is really hard to believe: Moderate consumption of red wine is related to a 60 percent reduced risk of lung cancer in men who have ever smoked! Yes, a study conducted by Kaiser Permanente researchers called the California Men’s Health Study collected demographic and lifestyle characteristics of of 84, 174 men aged 45 to 69, between 2000 and 2003. Although during the three-year period of the study, 210 cases of lung cancer were diagnosed, the survey revealed that 61 percent of the smokers in the entire survey population were at a significantly lower risk of lung cancer that correlated with drinking one glass of red wine per day. Those who identified themselves as heavy smokers benefited from red wine consumption the most. 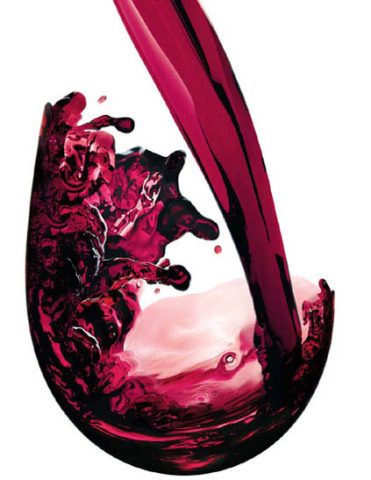 The Kaiser study, published in the October, 2008 issue of Cancer Epidemiology Biomarkers and Prevention, supports several research results on the health benefits, and disease fighting effects of an antioxidant in red wine called resveratrol. Though Kaiser researchers also studied the correlation between cancer risk and consumption of white wine, beer, and spirits, no significant positive correlations were found.